Marble has been used as a building material for thousand of years. Greeks and Roman Civilizations were the first to bring up the marble to the rank of prestigious material. 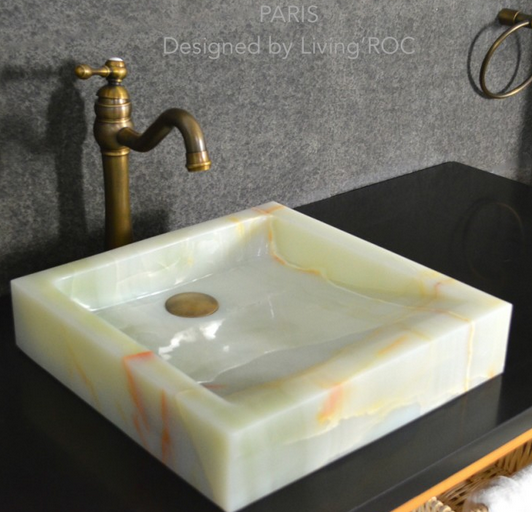 LivingRoc searches all over Greece, Italy, France, Spain and even in Asia for the finest marbles to use in your homes. Marble is a perfect way to complete your family room. 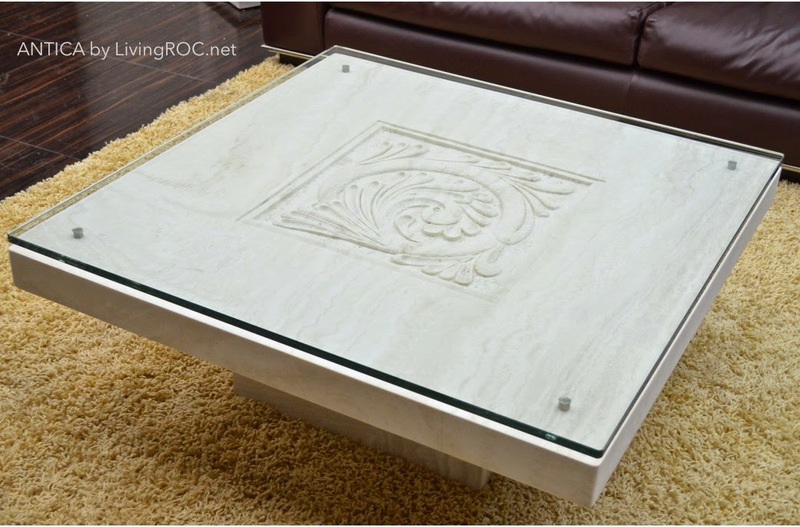 Take a look at what our Living Room natural stone marble coffee tables can do for you. This coffee table will seduce you by its unique look. There are no other models similar to ORIGAMI. 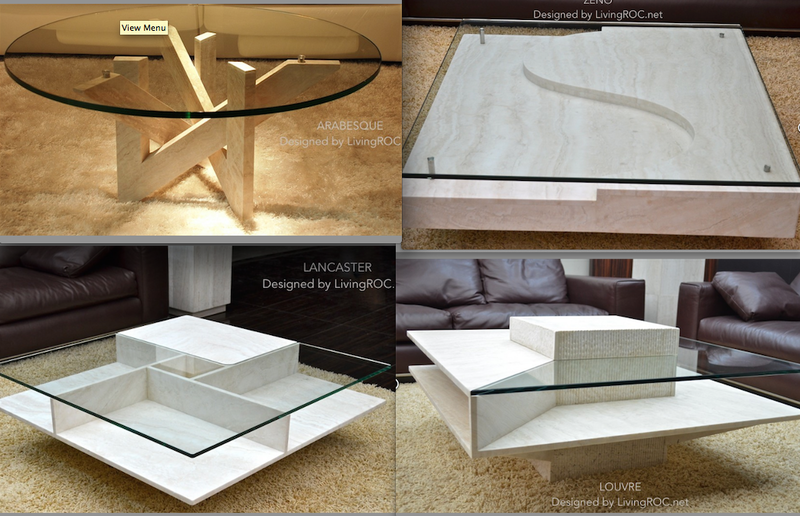 The table is 100% natural stone, has modern lines, clever storage enhanced by warm colors. 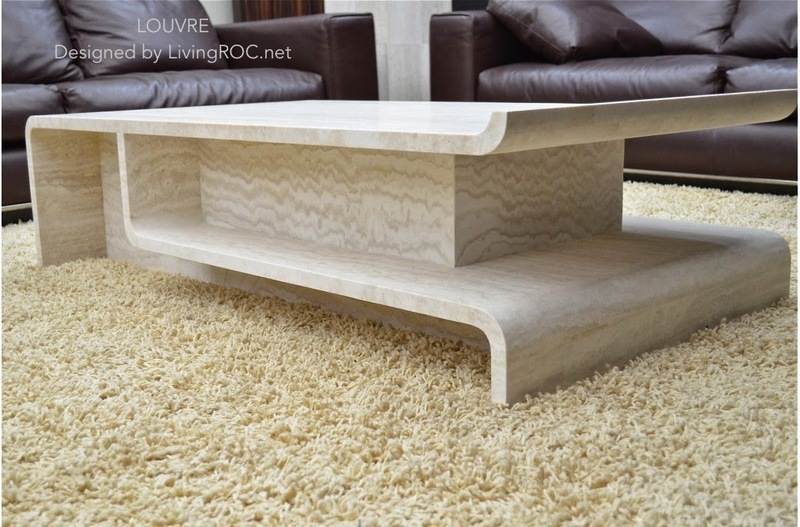 Its slender shape gives this coffee table a dynamic aspect highlighted by the wavy grain of Travertine. Looking for that smaller hallway foyer table then here is our BELLAGIO marble console table stone (travertine) with tempered glass top is the revelation of the range stone consoles of Pietra Casaline. It is composed of two pieces of Persian travertine and almond beige color, nested to give rise to an asymmetric design with trendy Asian looks. A mix of simple and original worked by talented artisans in 100% natural materials.